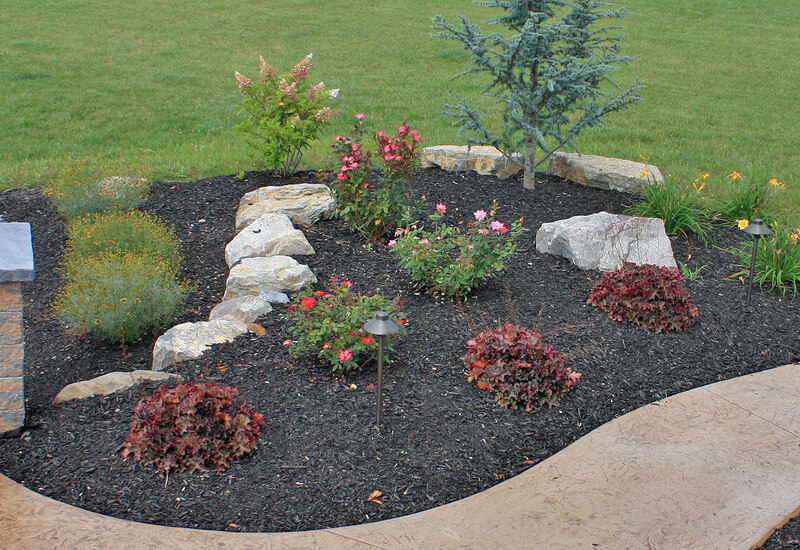 Transform your lackluster gray concrete stab into a colorful, polished surface. Concrete staining provides an opportunity to add a splash of vibrant pigment and a textured look to the traditional gray concrete surfaces. 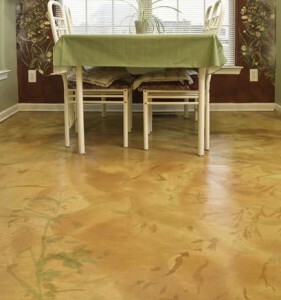 Both acid and water-based stains provide a rich, unique appearance to interior and exterior floors alike. Choosing a stain type is a matter of personal preference, maintenance, and longevity. 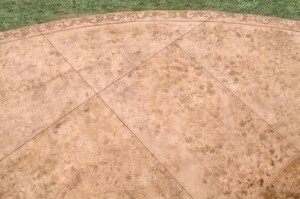 The true beauty of acid staining is its chance coloration from concrete slab to slab. 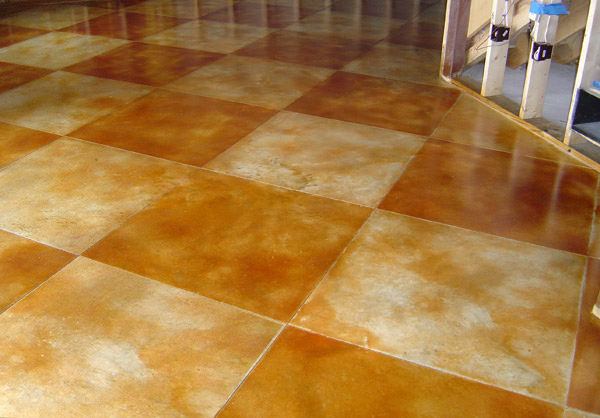 Acid-based staining utilizes mild acid and metallic salt combinations which chemically bond to cured concrete surfaces. 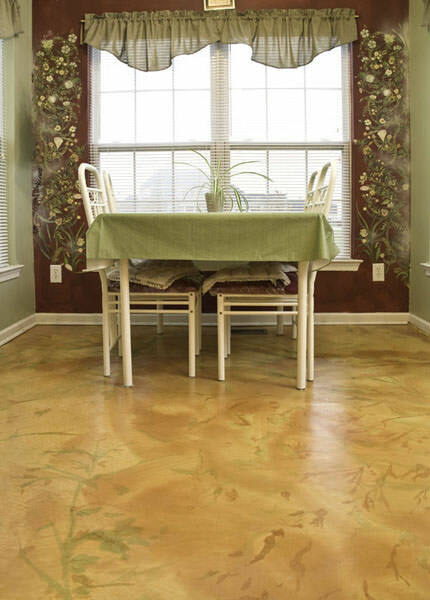 The acid stain reacts with the concrete’s minerals, giving each section of concrete a unique, earth toned coloration. Most acid stained surfaces are rich brown, reddish brown, or blue-green. Acid stain is ideal, effective on both newly poured and aged concrete. 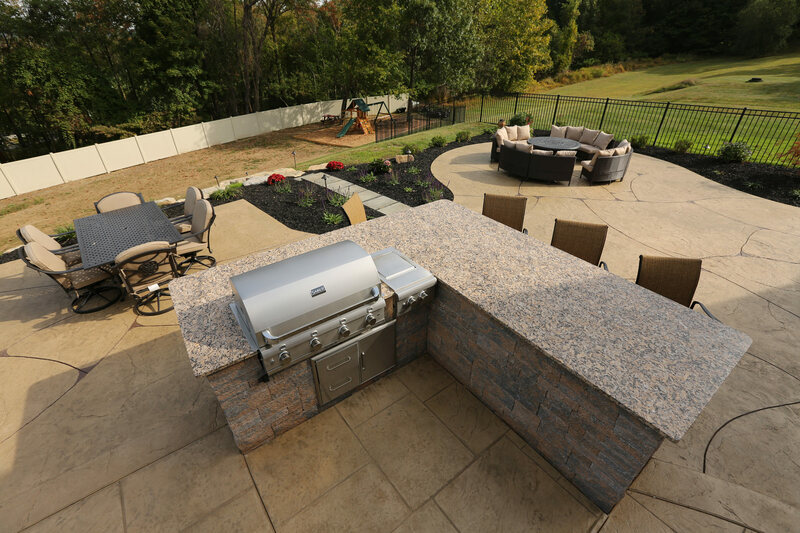 Unlike water-based stains, acid staining does not provide a uniformed appearance or color tone from slab to slab. Water-based staining is an environmentally friendly alternative to acid staining. 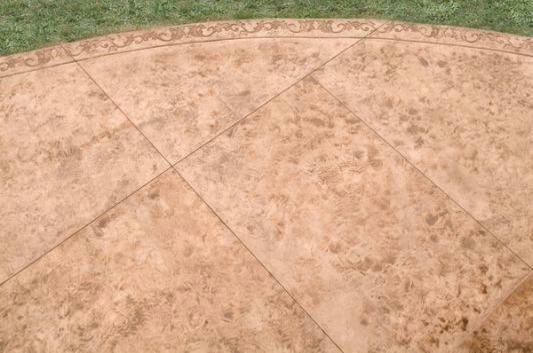 This stain type has a consistent, predictable coloration from slab to slab. The water-based stain seeps into porous, cured concrete and bonds, creating a delightful façade. There is no chemical reaction, and no surprises here. Waterborne staining is often preferred due to its non-fading, customizable coloration. Choose from subdued neutrals to vibrant shades. 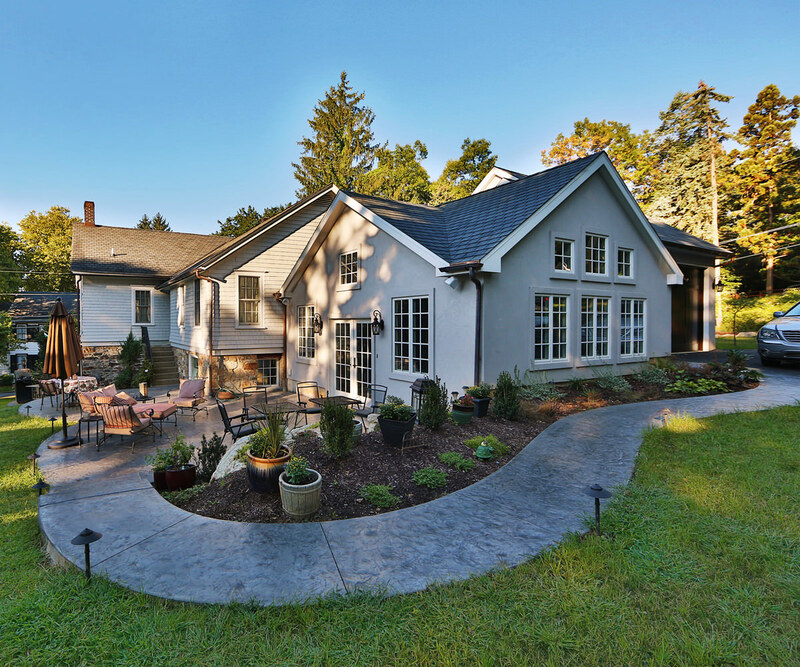 In general, both staining options are low maintenance and last for years to come.